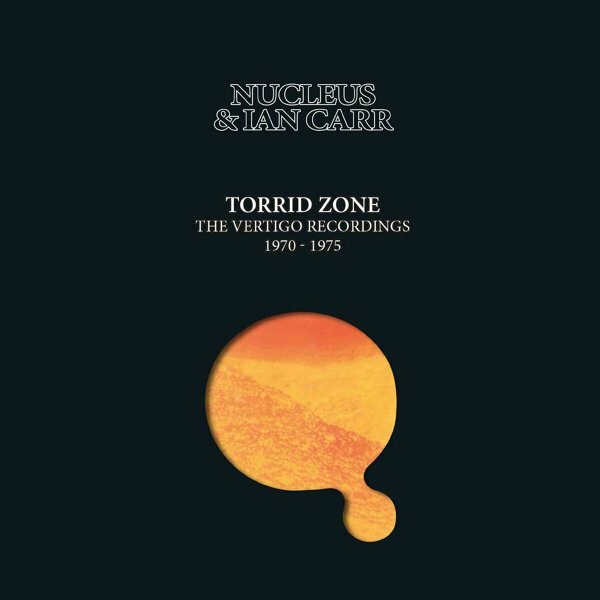 Seminal sounds from trumpeter Ian Carr and his Nucleus group of the early 70s – maybe one of the few jazz rock groups that was ever able to work with a fair bit of jazz in their sound! Unlike his contemporaries, who often started in rock first, then added some horns – Carr was already coming off an important 60s legacy, co-leading a group with tenorist Don Rendell – so the vibe here is like an extension of that very rhythmic, very tonal modern work – but with the addition of electrified instrumentation – thanks to the guitar work of Chris Spedding and keyboards of Karl Jenkins – who plays some fantastic electric lines throughout! The vibe is maybe a bit in the territory of early 70s electric work by Miles Davis and Donald Byrd (pre-Mizell for the latter) – but there's maybe a farther-reaching concept at play on many of the records, at a level that always helped the group cross over to the prog crowd, and move beyond just a straight jazz audience. Other key players include Brian Smith on tenor and soprano saxes – a really fantastic part of the lineup – plus Jeff Clyne on bass and John Marshall on drums – and as the albums move along a bit, the lineup shifts slightly, and also opens up to guests who include Kenny Wheeler and Harry Beckett on trumpets, Tony Levin on drums, and Norma Winstone on voice. And although some of the albums have been reissued before, this is the first set to really dive in completely – and bring together material from the Vertigo Records releases that include Elastic Rock, We'll Talk About It Later, Solar Plexus, Belladonna, Labyrinth, Roots, Under The Sun, Snakehips Etcetera, and Alley Cat. © 1996-2019, Dusty Groove, Inc.